All Things Irish: Over 15 Resources on Irish Language, Phrases, Clipart, and More! Looking for some resources for your classroom? Enjoy these articles on all things Irish, including the Gaelic language, fonts for your computer, Irish food for your table, lesson plans and crafts, templates and clipart for stickers. In Laura Jean Karr's article, we consider the question, Is Irish a Dying Language and Can it Be Saved? She discusses whether technology has put Irish Gaelic onto the Endangered Language list. After that, Laura looks at steps being taken to save Irish Gaelic, by the group Foras na Gaeilge and the Irish government. There are now newspapers printed solely in Irish, radio stations broadcasting in Gaelic, Irish language magazines, and a language program in Irish schools dedicated to developing young Irish speakers. Next, we consider Irish dialects in Gaelic vs. Goidelic vs. Gaeilge: What's in a name?, a discussion of names that languages call themselves. This article also provides some strategies for practicing Gaelic while visiting Ireland, and teaches us to how to ask “Do you speak English?" in Irish Gaelic: “Labhrainn Béarla?" Learning a little of the language in a country you visit is a way of showing respect for the country. In Cooking Up Tasty American Recipes for Successful ESL Spring Activities, J.Alpha looks at spring holidays and recipes, and lists some of the most famous American celebrations of St. Patrick's Day, celebrated on March 17th in the United States, and for five days in Dublin, Ireland. After some Irish blessings, she gives a safe-for-any-age recipe for Irish coffee. In Irish Sayings for St. Patrick's Day – and the Rest of the Year, we look at some popular Irish sayings that are for all 365 days of the year. And, if you are interested in learning more than a few sayings, read this has reviewed two Rosetta Stone options for learning the Irish language. First we take a look at Irish Rosetta Stone Online to evaluate whether it is a worthwhile tool for learning the language, and second, we candidly review Rosetta Stone's Irish Level 1 software to see if it can effectively teach you Gaelic and if its worth the somewhat steep cost for the program. 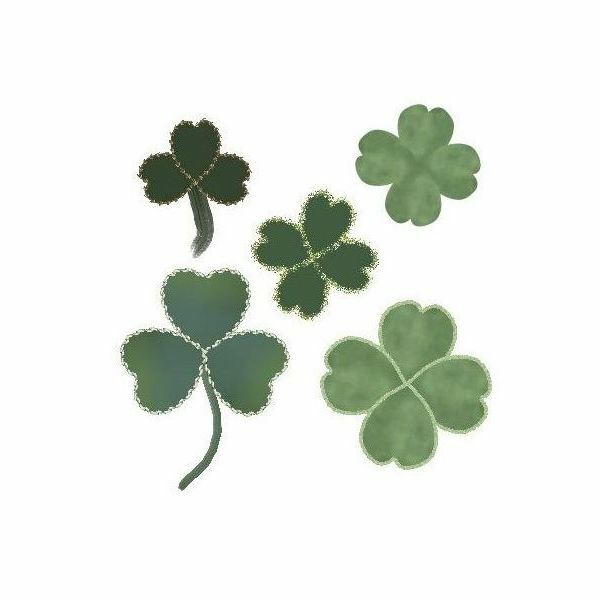 In an interesting photography article, Michele McDonough looks at Making Clovers in Digital Scrapbook Artist, and in the media gallery, there are free clover images to download for your own scrapbook projects with Digital Scrapbook Artist. She describes how to use shapes in the program to create both three- and four-leafed clovers and incorporate them on your scrapbook pages. For those scrapbook enthusiasts out there, Great St. Patrick's Day Scrapbook Backgrounds, has some fun and attractive scrapbook backgrounds, including a very pretty green rose with clover. There is also a pot of gold and a ruffled or layered clover. 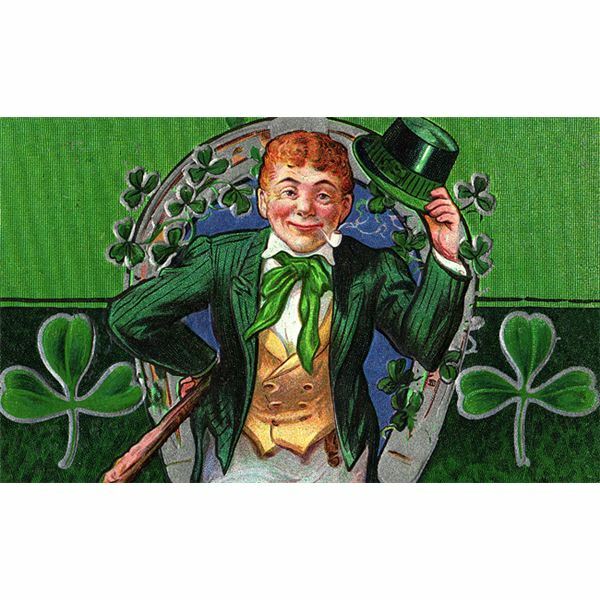 In an article by Tricia Goss, you can find the top 10 sites for free leprechaun clipart, ranging from very whimsical drawings and images to a reproduction of an antique postcard from Karen's Whimsy. Another collection of free resources for St Patrick-themed clipart is in Amber Neely's article. She lists several sites, and recommends the surprising variety found at Microsoft Office's collection, including a mug o' green beer. 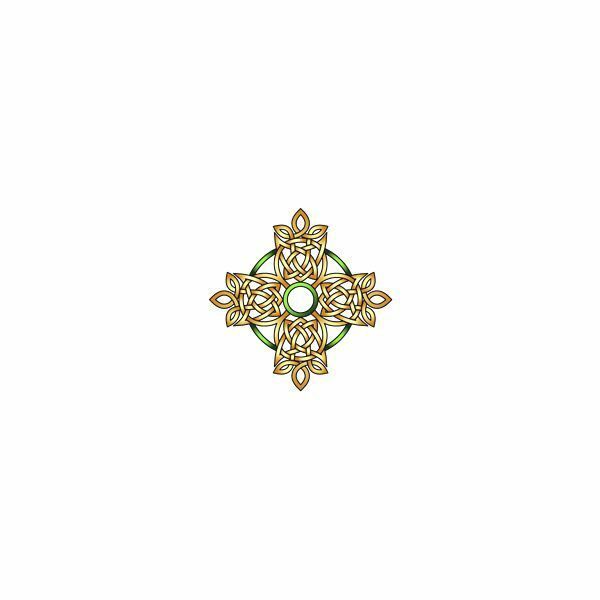 There are collections of celtic glyphs and symbols suitable not only for March 17th but for any other occasion where an intricate celtic symbol might be appropriate. One very attractive one a celtic cross drawing by Cari Buziak. Looking for free or selected premium resources to help create the perfect invitation, handout or flyer? Bright Hub has published a number of articles to help you feature Irish motifs in your creates. In Publisher Templates for St. Patrick's Day Laura Jean Karr explains how Microsoft Pulisher has templates to allow you to create St. Patrick's Day party invitations, different stickers with Irish themes, and even stationery. In Four Free St. Patrick's Day Fonts, Thursday Braum gives links to fonts such as Leprechaun Hats and the AEZ St Patricks Day. In her article Four Free Celtic Fonts, she gives links to four elegant Celtic fonts, for an Irish mood on days other than March 17th. Some of the fonts are the uncial Aon Cari Celtic, Spiral Initials, which adds a spiral symbol to the first letter of every capital, and Perigord, which is a little easier to read if you want to use the font through your whole document. Laura Jane Karr also wrote Premium St. Patrick's Day Fonts, a resource for additional Celtic fonts that you can purchase. There are a number of St. Patrick's Day-themed lesson plans, activities and units available to teachers in the elementary grades. Alyssa Ast writes about a St. Patrick’s Day Scavenger Hunt where children can follow shamrock shaped clues around the classroom to learn about history and participate in St. Patrick's Day activities. Marlene Gundlach writes about Celebrating St. Patrick's Day for grades K-2, and includes craft ideas. Jacqueline Cataldo gives ideas about bringing an Irish flavor to every lesson of the day in her St. Patrick's Day Lesson Plan. She has ideas for history, a reading list, geography, and arts and crafts. Also in K-12, ARobin writes about Celebrate Culture: Ireland, with information on facts, legends, art, activities, music, and vocabulary for Ireland – a lesson that could be given on any day of the year. And now, as you go to plan your own Irish celebrations, we'll leave you with this final blessing: May your troubles be as few and as far apart as my Grandmother's teeth! All images and content are from Bright Hub Education and Multimedia articles. References can be found on the articles linked to above.